One list to queue them all. All your movies and TV Shows in one place. No more maintaining of separate lists with each provider you use. Instant play. One click on the provider icon to start streaming your favourite titles immediately. Use the all the filters you love on JustWatch right in your WatchList. We store your WatchList right in your browser, making it a lot easier to get started. We also offer a login-based version to allow cross-device syncing as well. 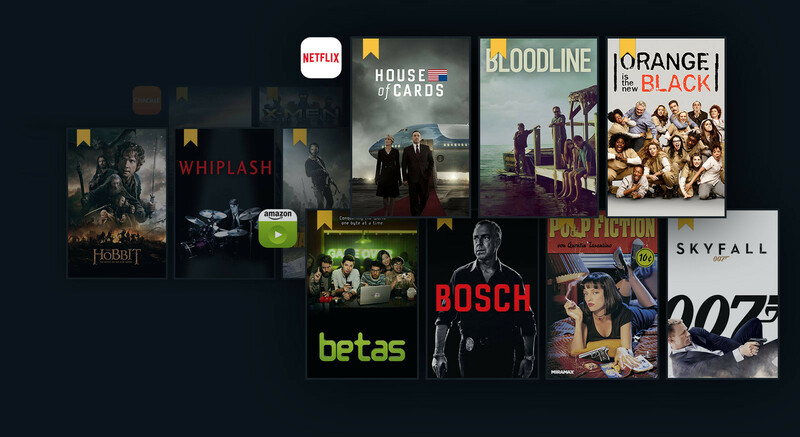 Use the bookmark icon to add movies or TV Shows to your WatchList.